Yahoo reared its patent troll head this week, and it’s not just Facebook that has reason to be worried — at least, judging by the extremely broad features that it’s being targeted for. Yahoo could easily sue Twitter, Pinterest, Google and many other popular web services whenever it thinks it would be most lucrative since their products are also covered by Yahoo’s patents. It’s not enough to simply say nasty things about Yahoo. The web’s leaders need to take a united stand against patent trolling over vague, underlying concepts. Rather than give you the jargon-filled abstracts of the patents Yahoo is suing Facebook with, let’s look at what features they pertain to on Facebook and across the web, which will show this is more than an assault on the popular social network. This is Yahoo’s war on innovation. Facebook has long had a feature that lets you view how your profile appears to a specific friend or the public, and with the launch of Timeline the tool began appearing on profiles themselves. Just click “View as…” in the drop-down at the right of the Timeline profile. 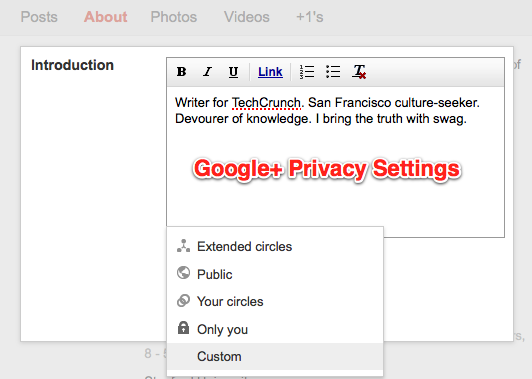 Google+ offers a nearly identical feature. Nearly all of Facebook’s pages are generated according to a “user’s preferences”. The news feed pulls updates of friends and sorts them by affinity for the author, which are technically preferences for who you friend and what you Like. The Events section shows what a user has RSVP’d to, and starting two weeks ago brand Pages have gained a prominent, personalized section of how friends have interacted with that Page. Twitter’s feed, Pinterest’s home page, Google+’s stream, and nearly any content consumption service with some sort of login functionality also infringes on this patent. This pertains to communication between online entities that represent real-world entities such as people, businesses, and places. Facebook’s greatest differentiator from its most popular predecessors has been authenticated identity — that user accounts on the service directly model real-world entities. An extension of this is Facebook’s real name policy. Facebook’s wall post, comments, and messaging systems all depend on users interacting with real people, not avatars or fictional entities. Google+ and Quora both have real-name policies and messaging as well, while Foursquare allows real-world businesses to communicate with real-world people. Facebook launched its unified messaging product in November 2010 that lets users seamlessly communicate across asynchronous messages, instant message chats, and emails. Yahoo claims Facebook infringes on its patent for seamless cross-communication between email and instant messaging users. Facebook’s own innovation here was dynamically recognizing what was the most relevant medium to deliver a message through, such as delivering a chat if you were actively online, or a message to your mobile device if you were browsing the mobile news feed. This feature is one relatively unique to Facebook, but some smaller group messaging services may also provide it. Facebook’s ad system most likely ranks ads not only by the bids of advertisers, but on factors determining how likely a user is to click. Facebook now uses social context in ads that shows what friends Like the Page of the advertiser. This social context increases click rates, and so Facebook probably shows ads that can include social context more prominently so it’s more likely to earn money on clicks. Google and many sites also optimize ads based on your past behavior, such as +1 button clicks, and through cookie retargeting. 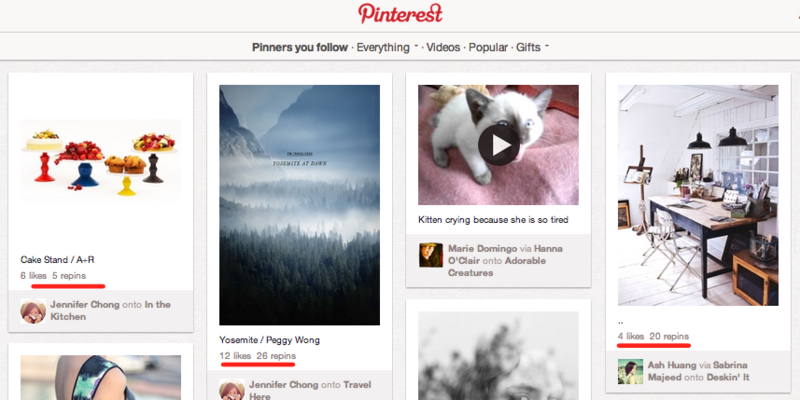 Social game companies, likely including Zynga, show different ads to big spenders. Facebook and a signficant percentage of online advertisers also employ click fraud prevention systems covered by Yahoo’s patents. Social networks use this concept to assess the likelihood that a message, post, or comment is spam. Facebook analyzes an author’s past behavior, keywords, the destination of the link, and posting frequency to identify spammers and either hide or reduce the prominence of their messages, news feed posts, and comments. Facebook also applies this filtering to its Comments Box plugin. Twitter similarly weeds out spammers this way, and Google recently began making spam comments less visible. Concerning how a content stream for one user can be refined based on the tastes of their peers, this patent likely covers how Facebook decides which posts are relevant to show in the news feed. Posts by users or Pages that receive a lot of Likes and comments, especially from friends, are given more prominence in the feed. 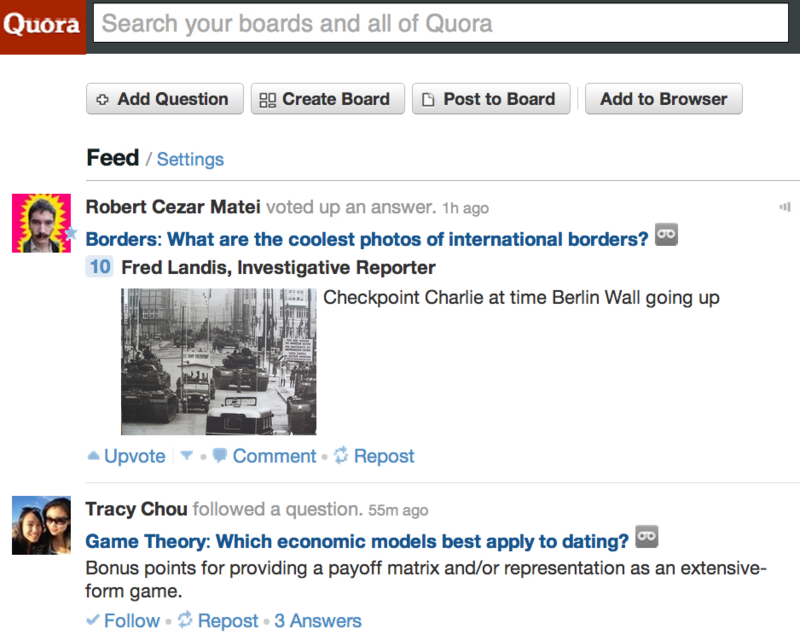 Pinterest likely uses the re-pins and likes of friends while Quora uses upvotes and answers to determine what to surface on a user’s home page. This patent on privacy settings covers the ability to set certain content as visible only to viewers in a specific list or who have a particular characteristic. Facebook lets users set up lists of friends or choose specific friends that can be permitted to or prevented from seeing content. Privacy buckets let users restrict visibility of content to only oneself, friends, friends of friends, and public. Google has similar privacy lists (Circles) and specific person privacy controls, while Twitter lets users set their accounts as private and only show tweets to those who’ve been approved. Foursquare and other location services let users restrict visibility of content to those with a particular relationship to them, bringing a whole other class of companies within striking distance of Yahoo.